Get your articles accepted for publication in niche media that your ideal clients trust and rely on, just four weeks from now, using the three-step process I’ve used for over 15 years to help hundreds of professionals like you. You’ll get the benefit of my inside understanding about how the news media operate, based on a Journalism degree and several years of experience as a reporter and editor. Since 1999, I’ve worked with business professionals including lawyers, accountants, consultants and engineers, all over the world, helping them get their ideas published in influential media. 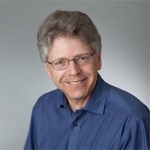 Carl Friesen is author of five books on professional services marketing, most recently, “Your Firm’s Expertise Edge”, 2015. Well-received presentations in Orlando, Washington DC, New York, Reno, St. Louis, Vancouver, Toronto, Philadelphia, Pittsburgh, and others. You can go on cold-calling prospective clients if you want to. Or, you can give them a reason to call you -- because they’ve seen your ideas published in media they trust, and you’ve shown that you have solutions to the issues they’re facing. Enroll in “Get that article published!” and start your journey to becoming recognized as a subject-matter expert in your field, through getting your ideas published. The skills you’ll learn can help you get your next (or first!) article written and accepted by the editor for publication. "Carl has the uncanny ability to take very complex technical information and write it in a way that others can grasp and actually enjoy reading. He knows how to get people published and understands what makes strong thought leadership content." "Carl has a great ability to understand both technical and business elements within a given topic. He effectively uses this ability to help people translate their knowledge into literature easily understood by the average person and appealing to editors. For me, his responsiveness and willingness to spend time understanding issues are his greatest assets." "Carl... I cannot overstate how great your presentation was. You presented for 30 minutes and then took questions for a full 30 minutes. The audience was engaged and interested and I know the feedback will be over-the-top positive. Terrific... truly terrific." "Carl presented "How to build compelling content that shows your firm’s strengths" as part of SMPS Northeast Ohio's Education Series. It was our largest attended Education event to date. It was an engaging workshop with several opportunities for the audience to share best practices, leading to the idea-sharing and support that SMPS NEO strives for in all of our events. He was a great fit and provided an extremely informational presentation to our chapter. He has truly helped raise the bar in our events. I would recommend his workshop to other SMPS chapters, and his company to any AEC firm looking to boost their marketing content." Thought Leadership Resources focuses on helping individual business professionals learn the skills they need to build a successful business. We use the principles of Content Marketing to help you create useful information and get it in front of potential clients and referral sources. That way, they’ll come to see you as knowledgeable, helpful and the go-to person in your field. As a result, you’ll be able to do more of the work you love, for clients that you enjoy working with – and earn the kind of money you deserve. We do this through walking the talk, building an online resource of free content that shows you, in practical ways, how you can build your ideal professional practice. Some of this content is in blog form, as well as white papers, videos, slide shows, info-graphics and other forms, to meet a range of learning styles. We also offer paid resources in the form of books, webinars and online courses. My work with Thought Leadership Resources is based on a background in journalism, sales and marketing, with over 15 years of experience in helping business professionals demonstrate expertise. I’ve had the honor of working with clients all over the world, in places that include Singapore, Australia, China, South Africa, Denmark, the United States and Canada. To do this work, I have a degree in Journalism with experience as a reporter and editor, an MBA in Marketing, and six years of experience leading the Media Relations effort of KPMG in Canada. I also have four years of experience in Marketing with the international firm Golder Associates. I work with a range of business associates who support the work of Thought Leadership Resources – people who have skills that can benefit users of TLI resources. I’m based in Mississauga, Canada. So … who am I, really? Cycling – I’m a longterm member of Toronto Bicycling Network, and I ride as a form of socializing, recreation, exercise and to get places without using a car. Outdoorsy things – I snowshoe and Nordic ski in winter, with some back-country trips each year. I’ve hiked the Alps, the Rockies and the Appalachians. Working with people from different cultures – For ten years, I volunteered at Matthew House, a faith-based residence for refugee claimants in Toronto. I work hard at building supplier relationships for TLR in places like North and East Africa. Reducing my environmental footprint: I’m “mostly” vegan, which means I eat very little animal protein, and this helps reduce my footprint a lot. Each year, my Other Half and I institute a capital investment on our house that makes it more energy-efficient (most recently, better ceiling insulation). I take public transit, walk or cycle whenever practical, rather than drive. And much as I love to travel, I’ve cut back on airplane trips.